Today’s Zimbabweans are as equipped with cellphones as anyone else, and the youth enter the digital age with yearning and skill. This Muonde program supports the introduction of computers and IT training to the schools, provides practical training in the collection and sharing of digital materials, and provides the platform for the community to share its stories digitally. In response to a request from Mr Mudzingwa (standing in center) the headmaster of Gwavachemayi Secondary School the Muonde Trust provided the school’s first computers and training to the teachers (through volunteer Robert Hickling) in how to use them. To this end friends brought Muonde the first computers in January 2013, laptops which were donated to Gwavachemayi Secondary School and to Muonde Trust’s digital program, with a second set of laptops donated in 2014. A volunteer, Robert Hickling, taught a group of group of school teachers how to begin to use these computers, and the school, which had recently been connected to (intermittent) mains electricity with a grant from Rio Tinto’s nearby Murowa Diamond Mine, was able to put much of its basic administration onto computer in 2013-2014. Fully fledged classes for the children can begin if we can grow the network to ten computers through more donations received locally and/or internationally. 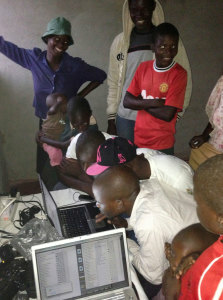 Late night editing with Moses Ndhlovu and crew. 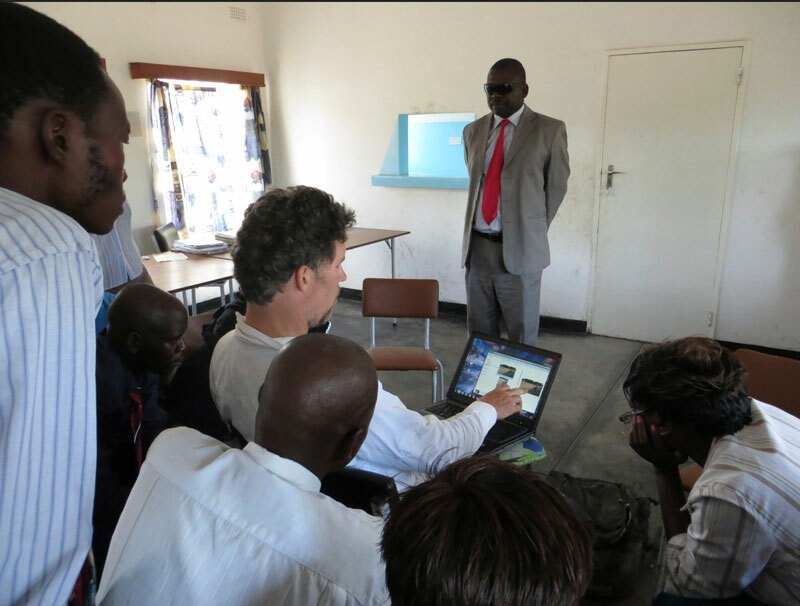 Meanwhile Mr. Hickling also provided Mr. Moses Ndhlovu with training in the collection and management of digital material in early 2013. Having pirated CDs in South Africa as a border jumper he was the readiest member of the community to learn these skills. 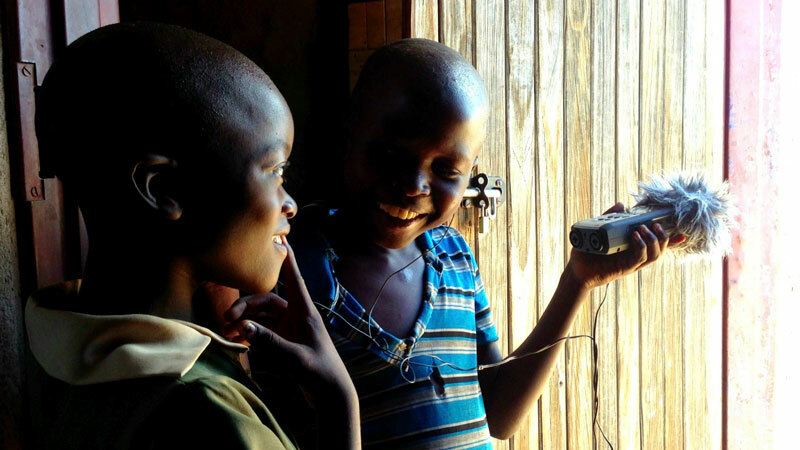 The local production of photo and video material on innovation and social mobilization by the Muonde Trust has proven a remarkably powerful force in driving reflection, debate and cultural change. So much more engaging than the “written word” and in the age of representation it spurred the development of a performance culture in our community workshops, especially around beautiful songs that describe the value – for example – of water harvesting. Most people in the Mhototi area have now seen (indeed often appeared in) digital imagery connected to indigenous innovation and this ability to tell their own story for themselves is a source of much pride. Consider here one of the first videos that Moses worked on with Mr. Hickling, about bulrush millet production featuring Mrs. Ndakaziva Hove, who has since become a Muonde Trust Board member. Florence and Brian sharing earbuds exploring the wonder of a digital sound recorder. This recorder was used to document an extraordinary chorus of frog song one night. Mr. Moses’ video skills became in turn valuable for the Phiri Award process because he was able to visit and film all of the leading contenders and then, with the help of Mr. Obrian Mudyiwenyama of Fine Line Media Trust in Harare, a series of videos were produced for the Phiri Prize. In 2014 a small grant to produce films about the increasingly elderly water harvester Mr. Phiri included Moses’ role in collecting footage while being trained in editing by Mr. Mudyiwenyama; you can see the first of these films here. We are anticipating steady expansion in Moses’ skills and in the amount and quality of digital material that Muonde project is able to produce and share at community level to enabling peer learning and sharing with other indigenous farmers and the outside world. There is huge potential to grow this area with modest resources and more training. However it is also constrained for the present by limited bandwidth in cellphone services and lack of wireless internet access. Muonde field researchers have studied in close detail the spread, nature and impact of cellphone technology in this community over the years. The Muonde Team have been carefully monitoring the growth of digital media use in the area for many years and tracking how it is impacting the availability and exchange of information including in the areas of finance and agriculture. The often surprising findings from these studies will be shared in due course. 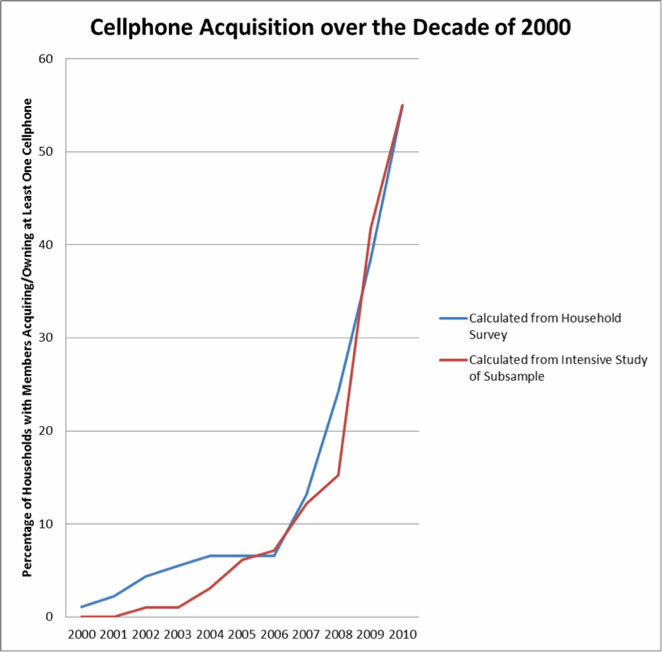 The digital phone revolution happened in this part of Zimbabwe only in 2010 when service providers and handsets crossed an affordability threshold, and found adequate solar power had been installed across these villages over the previous decade with panels smuggled in from South Africa. To grow the complimentary use of computers as well as to enable other domestic electricity use will require second generation solar technology for which Muonde now seeks advice and support.